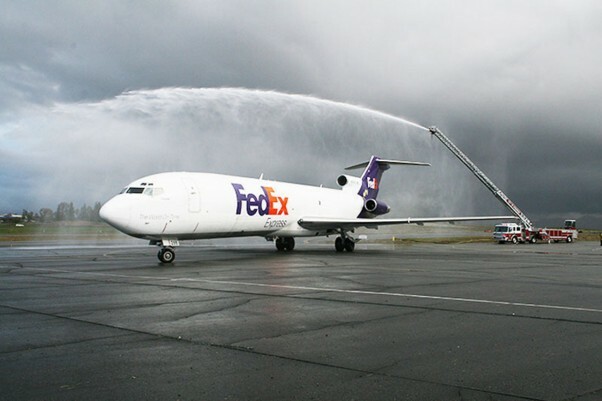 Following in the footsteps of dozens of aging FedEx planes before her, a FedEx Boeing 727-200F concluded its 33-year work career last week and retired to the world of academia. 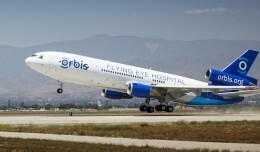 The 33-year-old aircraft (registration N266FE) will be placed on permanent display at Riverside Municipal Airport where it will serve as a working laboratory for students of California Baptist University’s new Aviation Science program. “CBU could not be more pleased with this generous donation from FedEx and appreciates the role of Women in Aviation International in making it possible,” said Dr. Daniel Prather, founding chair of CBU’s aviation science department, in a statement. 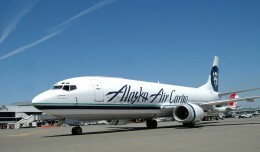 Originally delivered to Air Canada in 1979 as C-GAAS, she hauled passengers around North America for over a decade. In 1993 she was purchased by FedEx underwent a freighter conversion and became known as N266FE. She would spend the next 20 years delivering packages for FedEx. FedEx has now donated a total of 60 aircraft to educational institutions across the United States. “FedEx is always proud to give back to the communities where we live and work, and this donation of a 727 from our fleet is a good example of the company’s community spirit,” said David Sutton , managing director of Aircraft Acquisition and Sales for FedEx. 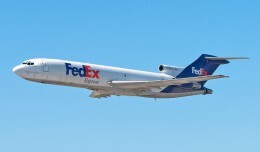 NYCAviation was on hand as FedEx Express handed over one of their retired 727-200s to Broward County, FL for use as a trainer. 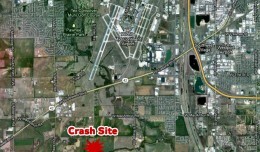 A small plane operating for FedEx crashed in Wichita, Kansas, Tuesday morning, killing one person. 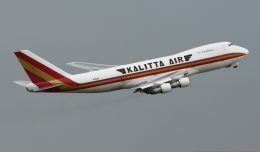 It’s good to see a veteran plane like the 727 still has value even if it’s not going to be flying anymore. I’ll have to get out to Riverside and check it out one of these days.